All homes currently listed for sale in the zip code 98675 as of 04/20/2019 are shown below. You can change the search criteria at any time by pressing the 'Change Search' button below. "Custom Built On Picturesque 38 Acres. You Will Enjoy The Fabulous Picturesque Views From Almost Every Room & Large Entertainment Deck. Beautiful Oak Hardwood Floors, European Tile and Gorgeous Master Suite. 1736sf Partially Finished Daylight Basement Which Offers Optional 3 Addl Bdrms, 2nd Kitchen,Family Room, Living Room & 1 Car Garage (2 Car Main Level). Sep shop! A MUST SEE!" 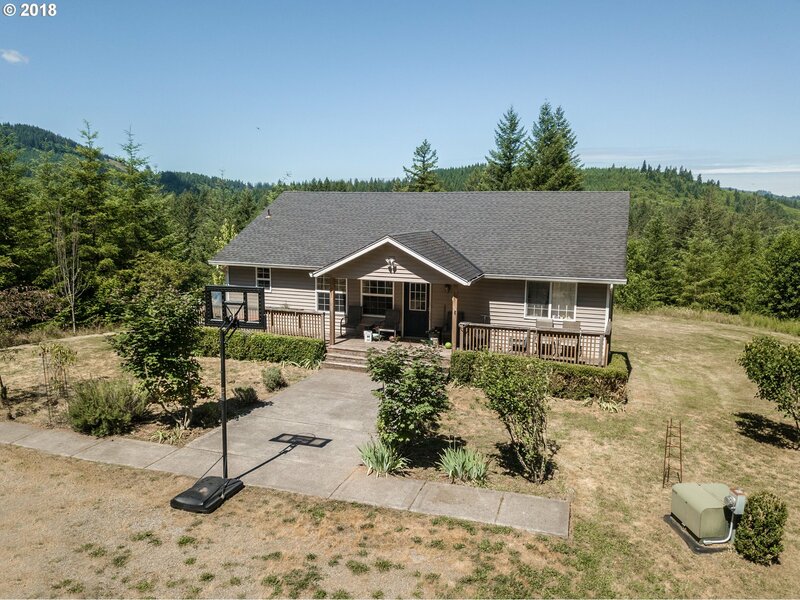 "Gorgeous Custom Craftsman on 5 acres! Gourmet kitchen with SS appliances complete with a warming oven and large commercial grade built in range, cental vacuum, surround sound throughout, on demand hot water, solid Hemlock doors, Hickory floors, heated foyer floor, vaulted ceiling and fireplace in master bedroom, master bath has double sinks, heated floor,jacuzzi tub and dual shower heads. Large 42x60 shop with 220v, room for livestock!" "DO NOT CALL Seller! 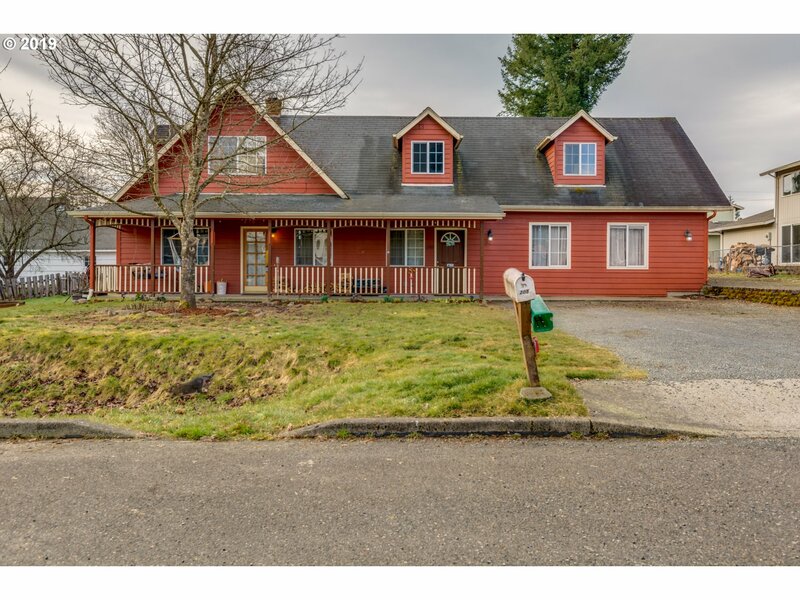 Property sold under MLS #18214600"
"Customize this desirable 1785 sqft home with a serene view of Mt. St. Helens! Nestled on a peaceful 2 acre parcel, add your personal touches to make your dream home a reality! Constructed by a great local builder, with the knowledge and values you are sure to admire! Standard package includes 9' ceilings , granite counter tops, stainless steel appliances, dual master bath sinks, and much more! Home photos are for reference only"
"Leave the city and come home to peace & quiet on this beautiful secluded property with a stream and small pond. Enjoy your morning coffee from the front covered porch or the spacious, oversized back deck, be one with nature and away from the sounds of traffic. 5-acres of space, great for your RV, toys, pets, animals, hobbies, or gardening. Plenty of space to build your shop or barn. 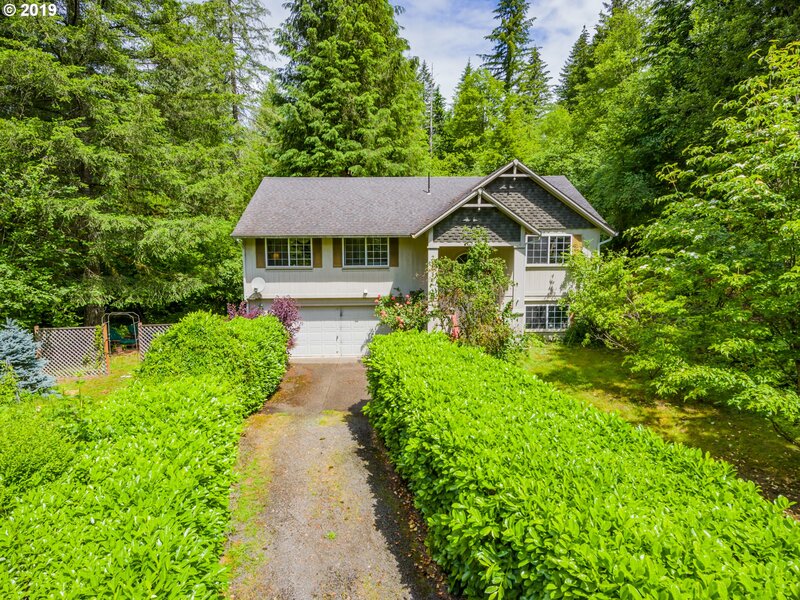 Only 35 minutes to PDX"
"If you're looking for peace and serenity, this home is perfect for you! With 5 acres, natural lighting, beautiful landscaping, new roof, gutters and freshly painted, it's move in ready just in time for spring flowers to bloom! Enjoy the small town feel of Yacolt & on 7 mi NE of BG less than 30 min away from Vancouver/Portland. Water heater, microwave, range/oven and well pump are new from last year. New roof and gutters from this year." 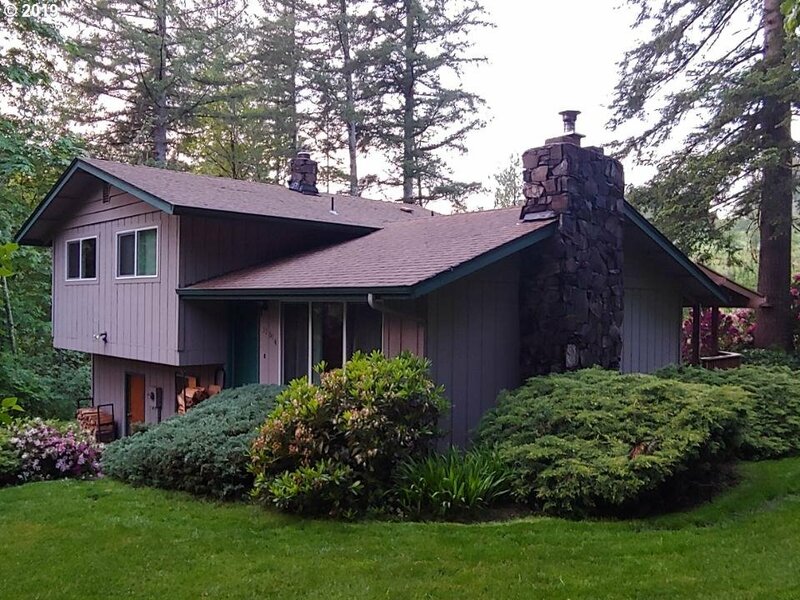 "A 5 bedroom home, plus office, with lots of windows to capture the beautiful Cedar Creek views-650' of creek frontage, pleasant, serene and nearby small town USA. This is an active community with something for everyone; Little League, Pop Warner Football, soccer, hunting & fishing, all in your own back yard. A 12'x12' freestanding building is the home to a sauna with hot tub nearby." "NOW AT APPRAISED PRICE!!!!! 15 min from BG, newer roof, remodeled kitchen and Bath, New 40x48 shop/garage w/ RV parking, 14 ft ceiling, concrete floor, 200amp service, 3 roll up doors. Home has new 200 amp service and new underground power. Nice level land, mostly mowed. 10 or 12 mature blue berry bushes. Seller transferring"
"Customize this desirable 1504 sqft home with a serene view of Mt. St. Helens! Nestled on a peaceful 1 acre parcel, add your personal touches to make your dream home a reality! Contructed by a great local builder, with the knowledge and values you are sure to admire! Standard package includes 9' ceilings , granite counter tops, stainless steel appliances, dual master bath sinks, and much more!! Home photos are for reference only"
"10acres of beautiful forrest with an acre of flat land for the home and garage. 4 bedrooms plus bonus family room. Vaulted ceilings, wood floors, big windows to enjoy your territorial view and let in tons of natural light.HUGE laundry room with built-ins and sink. Entire daylight basement currently offers workshop and storage, could be turned into entertainment space! Home is on Timber Land Tax Deferred Status." "Well constructed and maintained home on almost 5 acres.3 bedrm, 2 bthrm. Newer appliances, woodburning fireplace insert in Livroom. Family room with beamed ceiling, den/computer room downstairs. Covered deck for summer outdoor cooking. 23x35 oversized garage/shop. Property is fenced on 3 sides." "Well maintained Ranch on large private lot (.28ac)! Open floor plan w/oversized bedrooms! Recent interior remodel w/paint, appliances & carpet. Finished Sun Porch makes a great bonus. Additional 350sf detached Shop fully insulated & wired for 220-potential for ADU, Office, Man Cave, etc. Fully Fenced w/Raised garden beds + room for 8'X30' RV trailer, boat parking behind secured gates. Near parks, rivers, & lakes, & mountains!" "Country Living at it's finest, A Beautiful 2014 3/2 Manufactured Home on 5+ acres. New Heat Pump just installed recently, septic and shared well. Has a large barn on the property. Garden area for those green thumbs. Very peaceful area." "Private yet close to town, this home is a gem. Beautiful flower gardens and outdoor spaces - private and quiet enough to relax or entertain! Family room, kitchen, 3 bedrooms and 2 baths on the main floor. Basement has two rooms that could be finished into bedrooms, office, or man cave and a half bath with plumbing hook ups to convert to full bath." "XL Living in Yacolt! Small town feel with BIG HEART! Cabin-like living room complete with toasty wood stove and warm maple wood paneling. Let the wild rumpus start in expansive family room! Oversize Master Bedroom Suite with his/her closets. Opportunities abound in fenced backyard complete with fire pit, outbuilding, tool shed, and covered area for wood. RV Parking!" "Great family home! Well taken care of home. Spacious living area. Master bedroom with Master bath and walk in closet. Large yard, quiet street with great and friendly neighbors this is a wonderful and safe place to raise your kids!" 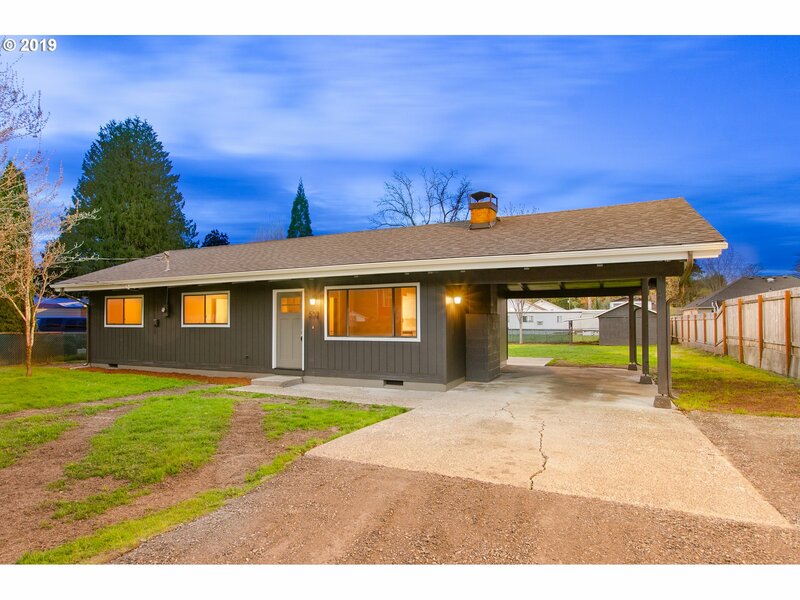 "Beautifully updated home is the perfect place to call home or great 1st Rental. Newer flooring throughout and newer roof. Propane fp in lvrm. Host backyard BBQ for everyone you know on the new patio. Kitchen features new countertops, new sink & faucet, plenty of cupboard space. Newly updated bathroom w/shiplap walls, new sink and faucet. Huge fenced backyard, he/she shed w/sauna & 1/2 bath + tool shed & fire pit. Open Sat 1-3." "Value is the land! Beautiful level lot where you can build your dream home."